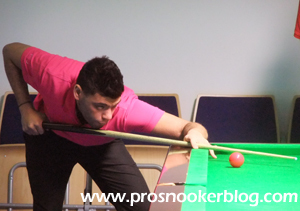 Following his decision to resign his main tour place earlier this year, Australia’s Vinnie Calabrese has today won the 2015 Oceania Championship with a 6-3 victory against Matthew Bolton to earn a fresh two-year professional card from the start of the 2015/16 season. There is of course a rule in place which states that current professional players cannot re-qualify for the main tour by winning an amateur event, so it has proved to be a smart decision from Vinnie to resign his professional status shortly before this tournament, therefore allowing him to earn a new card almost immediately. Some will (and have), argued that this is against the spirit of the rule and to some extent it probably is, but Neil Robertson aside, Vinnie is clearly the next best Australian player and so I am pleased to see that he will return to the tour at the start of next season. 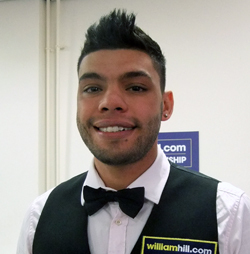 It is certainly a clever move from Vinnie, as his prospects of earning a new card by any other means were extremely slim and with two years of experience now under his belt he will be hoping to get off to a better start on the main tour next season. Could he even be handed one of the international wildcard spots for next month’s World Championship?